¿Habla Inglés y Español? Have a passion for helping people? We have an opportunity that may be of interest to you! Join Rio Salado College and State Farm for a free information session on Thursday, May 19 at Rio Salado Southern in Tempe to learn about new opportunities for bilingual Spanish-speakers to transition into the insurance industry—and scholarships to help you acquire a certificate of completion in Insurance Studies. This event is free and open to the public. RSVP to Jeanne Ratliff at Jeanne.Ratliff@riosalado.edu. Students must be available to take in-person courses two nights per week in Tempe and have the time to take two courses concurrently for two semesters. 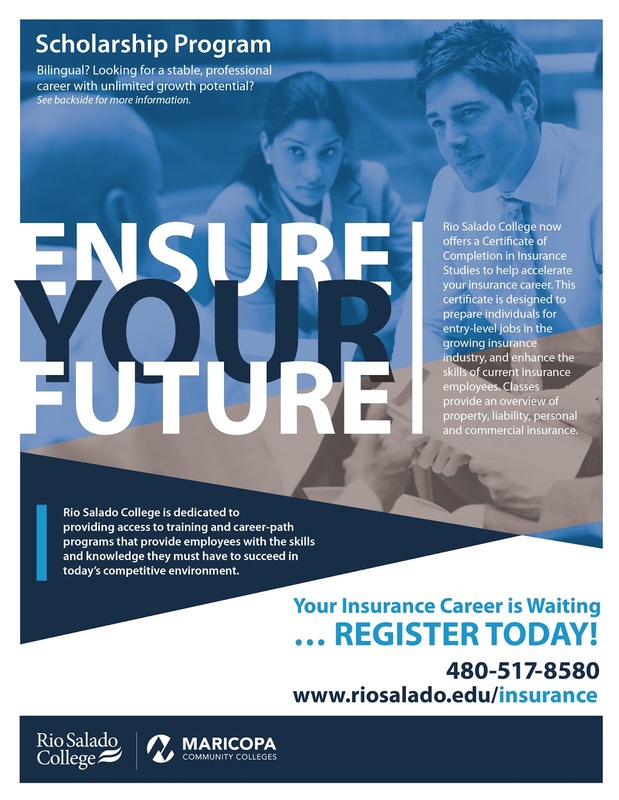 This program is a great way to learn about the insurance industry, take advantage career development opportunities—and get first-hand news about employment opportunities available in the field. See related blog story about the increased need for insurance professionals.